The PPL Foundation today announced that it is awarding more than $450,000 in sustaining grants to 95 nonprofit organizations across Pennsylvania to support their efforts to improve education, develop the future workforce and revitalize communities. The awards announced today will support a variety of projects in PPL Foundation’s focus areas: education, workforce development and community revitalization. The Foundation’s sustaining grants, ranging from $1,000 to $25,000 each, provide organizations with funding for specific projects or general operating funds. 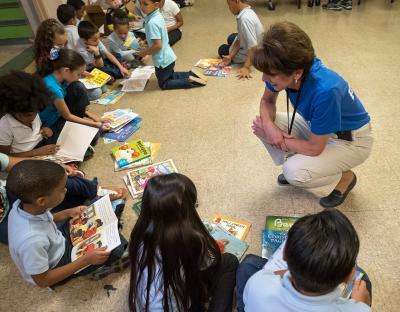 Additionally, contributions were made to libraries and other literacy-focused organizations in support of Cover to Cover, the PPL Foundation’s new initiative to improve child literacy through reading and summer learning programs. The PPL Foundation awards grants in spring and fall. The next grant cycle, for major grants, begins in August. To be considered for a grant, all organizations must apply online. Please visit www.pplcares.com to learn more. Through strategic partnerships, the PPL Foundation supports organizations that are doing innovative and groundbreaking work to create vital, sustainable communities and empowering each citizen to fulfill her or his potential. The PPL Foundation contributes more than $2 million annually to a wide variety of nonprofit organizations in north and central Pennsylvania.